It is my great pleasure to announce the launch of the BONNSAI web-service accompanying the online publication of the corresponding paper (Schneider et al., A&A, 570, A66) describing the method and its capabilities in detail. 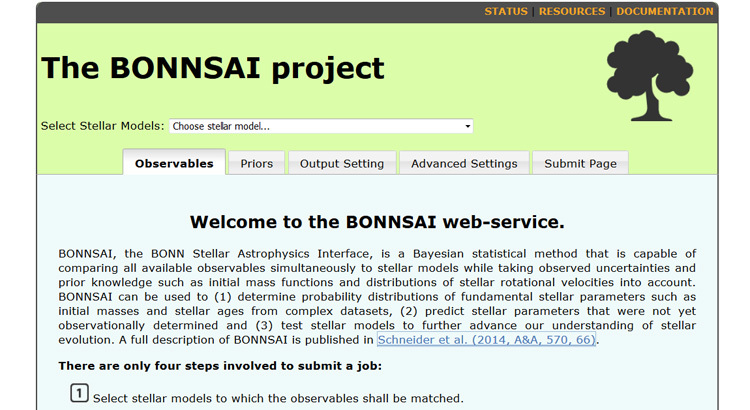 BONNSAI is a Bayesian method that allows users to match all available obserables of stars simultaneously to stellar models while taking prior knowledge properly into account to determine fundamental stellar parameters such as mass and age. It is equipped with robust Bayesian goodness-of-fit tests and provides full posterior probability distributions for inferred stellar parameters. The web-service runs on a dedicated server and is absolutely easy to use: just select a set of stellar models, provide observables, specify prior knowledge (if available) and let BONNSAI do the rest. A BONNSAI batch mode is also available on request. Welcome to my homepage! I am a Gliese Fellow at the Zentrum für Astronomie der Universität Heidelberg. 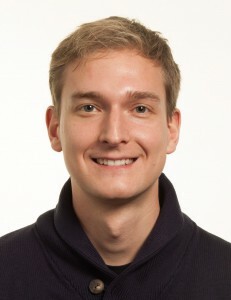 Before that I was a Hintze Research Fellow at the University of Oxford and a postdoctoral research fellow at Christ Church College, Oxford. My main research interests are the lives and deaths of massive stars.